Kontra’s First Webinar – DigiTime: Why Is Boost Post a Waste Of Money? After years of experience in digital marketing and web development, always keeping up with the new trends in the industry, but also, setting some of them by themselves, we decided to take things to a whole new level by launching a webinar – DigiTime. Since we’ve already held many seminars, educations and lectures at various conferences and digital summits, we thought it would be a good idea to share our knowledge online since it is a place of business for us, after all. The first webinar will be held on 3rd of May at 1 PM, covering the topic “Why is boost post a waste of money?”. 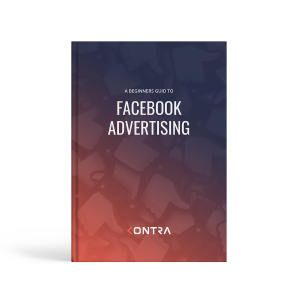 The idea is to present thoughts on the matter and explain how to optimize your budget more efficiently regarding Facebook’s advertising. All of that while interacting with the audience, hearing their opinions and getting them engaged in a discussion. Webinar will be hosted by Ilija Brajkovic, CEO of Kontra agency and an experienced digital marketer. Ilija Brajkovic has been a familiar name in a digital industry for a while now, but for the last seven years he’s known as an expert for digital marketing. Even though he’s a geek at heart, life took him towards things he enjoys far more. Today, he’s a co-founding partner at Kontra agency where he’s in charge of great digital projects. He worked on various successful campaigns for clients such as Microsoft Croatia, Suzuki and Renault. He’s often holding educations and lectures all around Croatia and Europe so it’s no surprise he’s always among the best-rated lecturers. First DigiTime webinar will be transmitted on Kontra’s Facebook Page through Facebook Live so if you think this topic is something of your interest, tune in. Still, if you’re not able to watch it live, fear not – Ilija and the rest of us invite you to watch it later since webinar will be filmed and posted on Kontra’s Youtube channel as well. Update: You can watch it here! We are a group of people gathered under one roof who become a family. Always looking for some new ideas, new tools and strategies, new ways of communication and above all, new ways of having fun while working.